The weather in Florida means there is only a 30% chance that the final Space Shuttle launch will go ahead at 16:26 GMT today. The launch is usually shown on both BBC News 24 and Sky News but you also watch NASA TV online. Space Shuttle Discovery is due to launch from Florida on Wednesday 3rd November at 3.52pm EDT (7.52pm GMT if I’ve got my time zones right). 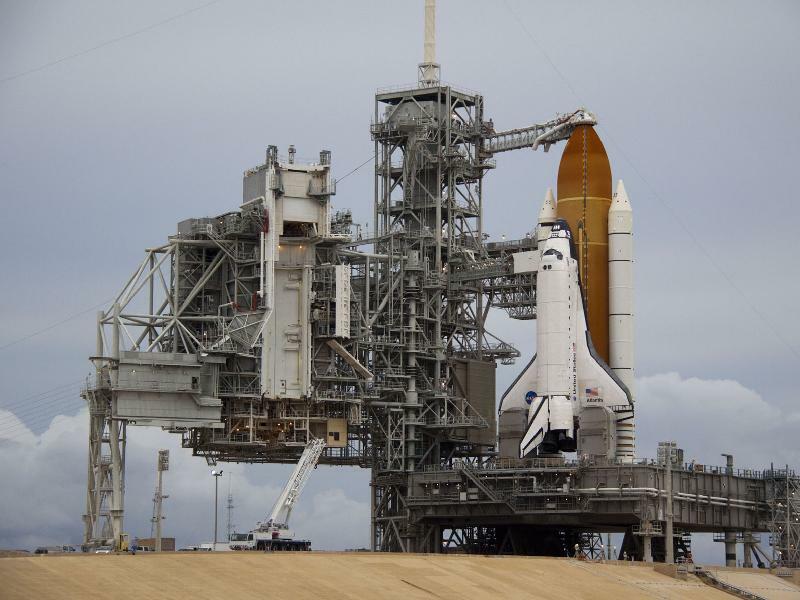 Catch these events whilst you can: STS-133 is Discovery’s last mission and the last-but-one Shuttle mission before they are retired in February 2011. NASA TV has full live coverage of each launch and mission and 24-hour News Channels usually carry each launch. NASA has all the mission information. Heavens Above provides predictions for spotting the Shuttle and International Space Station as they orbit overhead. Weather permitting, you should be able to spot the ISS every evening this week at various times between 5pm and 7pm. Edit: 15/11/10 – Launch time has been put back to 4:05 a.m. EST on Nov. 30. That’s 9.05 a.m. GMT. Discovery launched at 11.21am our time on Easter Banks Holiday Monday. It was the last night-time launch of a Space Shuttle and means there are just 3 flights left before the Shuttles are retired. There are 3 women astronauts aboard Discovery. This means that there will be a record of 4 women in space at the same time. The 3 on discovery will join their collageu of the International Space Station (ISS) when Discovery docks with the ISS on Wednesday. If you are up in the early hours you can see Discovery and the ISS as they cross the UK’s night sky. The best view is around 5.30 am on 14th April. More details at Heavens Above. You are currently browsing the archives for the Space Flight category.